It Wasn't Intentional. 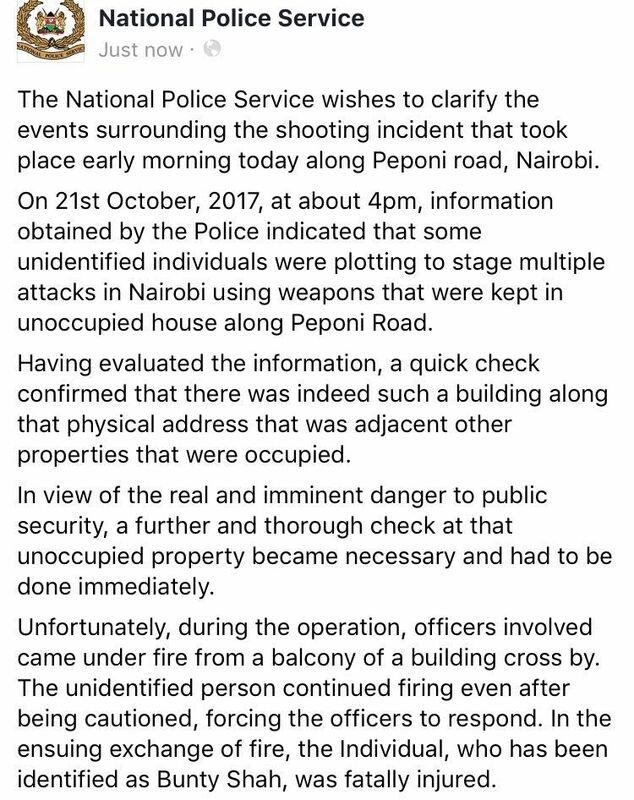 Kenya Police Release Statement On Death Of Billionaire's Son. Home / News / It Wasn't Intentional. 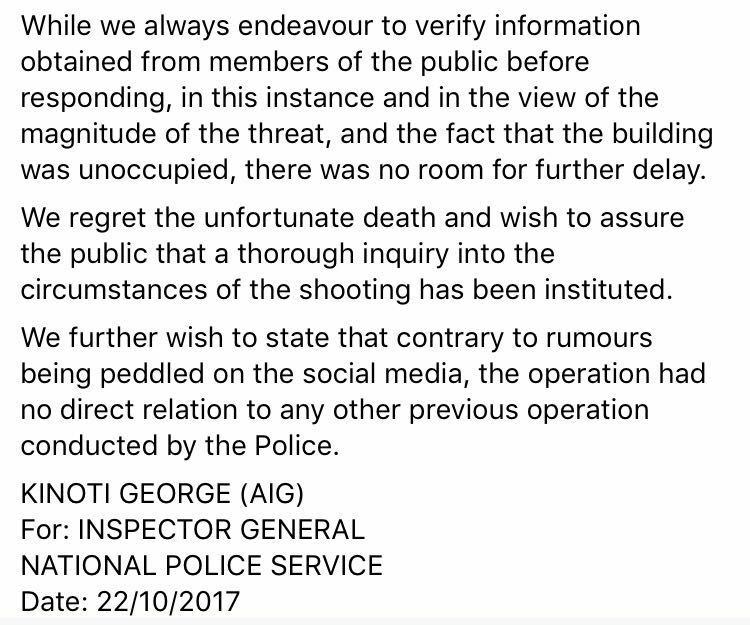 Kenya Police Release Statement On Death Of Billionaire's Son. 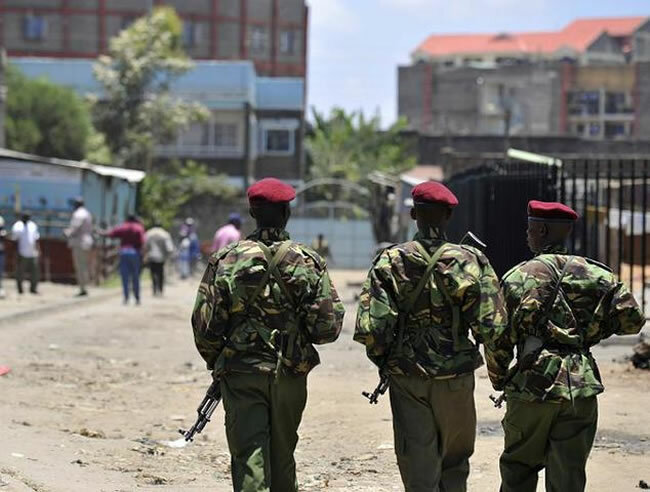 In an official statement to the press, the Kenya Police said that the fatal shooting of the son to the Vipin Shah who owns Bobmill mattresses was not intentional. In their defence, they said that they had warned the shooter (Mr. Bunty Shah) but he continued shooting.